For any and every American, Christmas Hot Dogs, Hamburgers and Fries would meet with no objection. Hence the motivation for this Michaels Christmas Ornament display. 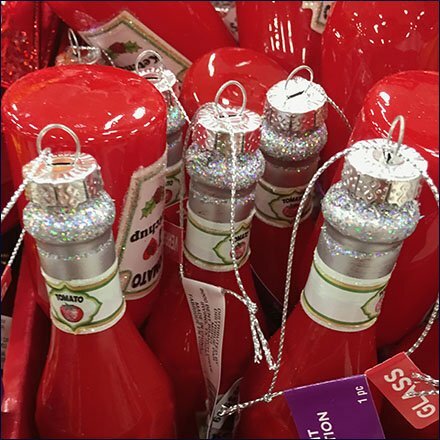 And see that Tomato Ketchup (or Catsup if you prefer) is the perfect cross sell and accessory. Browse this shelf-top corrugated Christmas Hot Dogs, Hamburgers and Fries display in the gallery of images. Seen at Michael’s.